The new NESCO® Upright Turkey Roaster is the fastest and easiest way to cook turkey, chickens, roasts and all your favorite recipes. 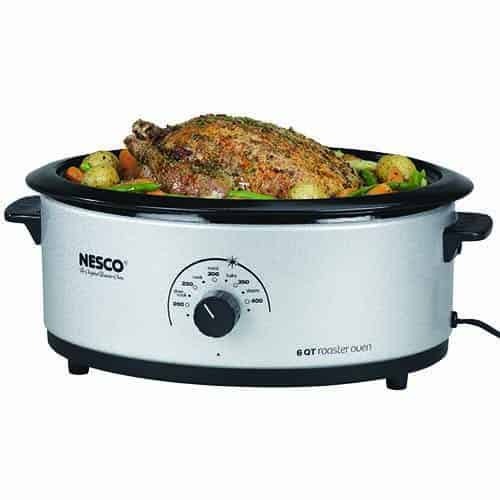 Innovative Roast-Ryte™ Technology uses infrared heating elements to evenly cook your turkey by maintaining the moisture on the inside while searing the skin to a golden-brown on the outside. 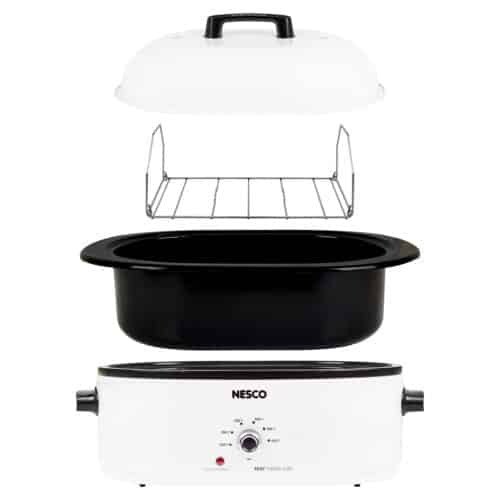 The center heating element cooks from the inside out and when combined with the outer heating elements, makes the NESCO® Upright Turkey Roaster faster than a conventional oven. 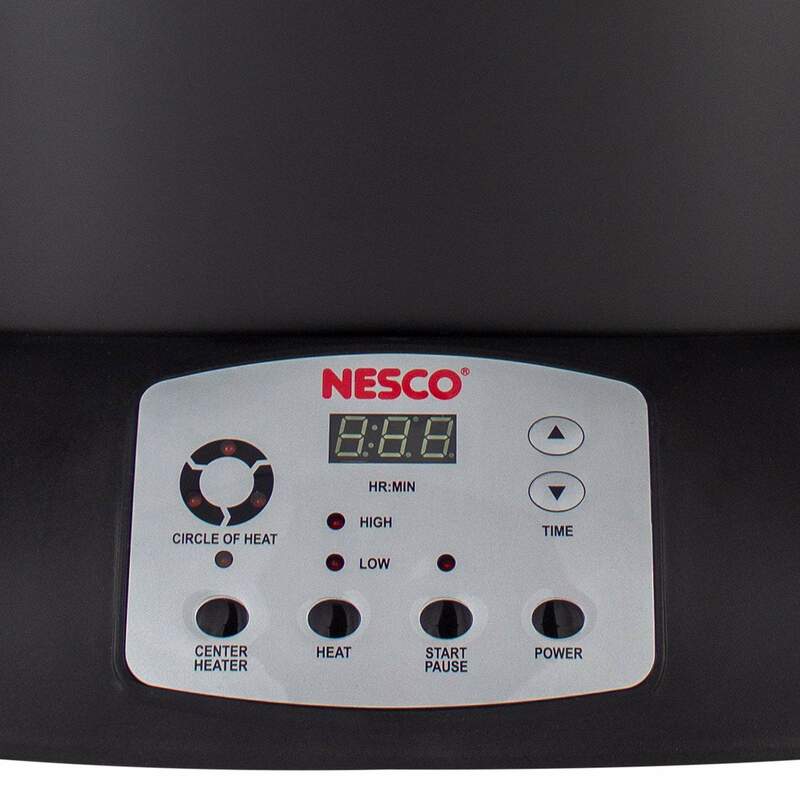 This oil-free, easy-to-use vertical roaster can cook up to an 18-lb. 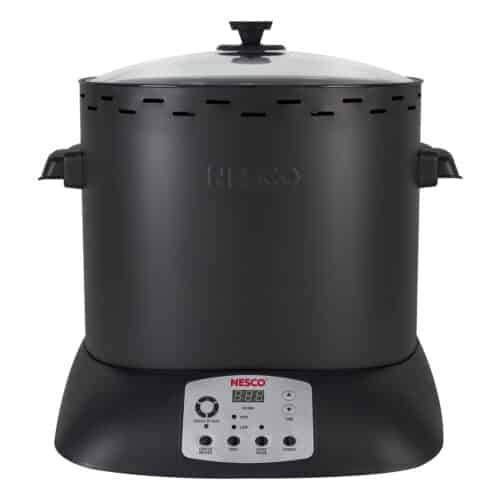 bird in less than two hours, reducing cooking time by up to 40% from a conventional oven. 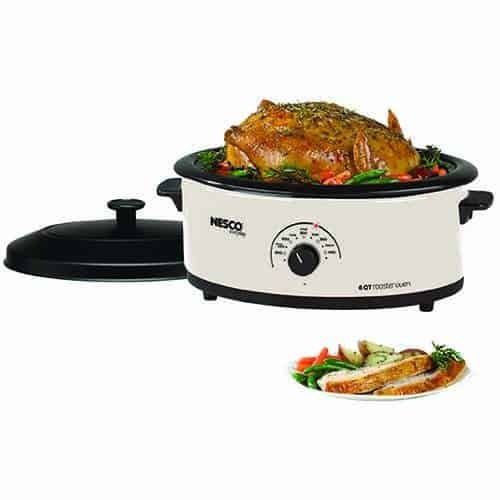 You’ll never have to worry about overcooking your bird, as the easy-to-read control panel has a digital timer with a preprogrammed 120-minute turkey setting and auto-off function. 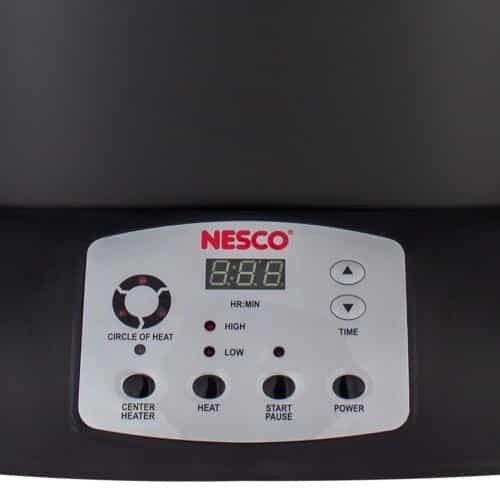 Illuminated lights indicate when the heating elements are on and cycling. 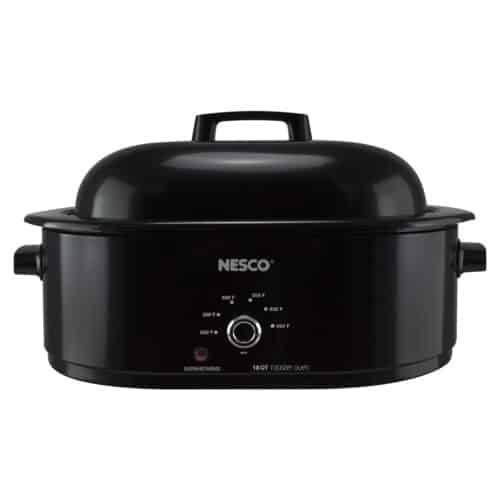 Clear glass on the lid lets you watch your meat cook without removing the lid and letting the heat escape. Removable and dishwasher safe, the cooking stand drip tray collects juices for making gravy. 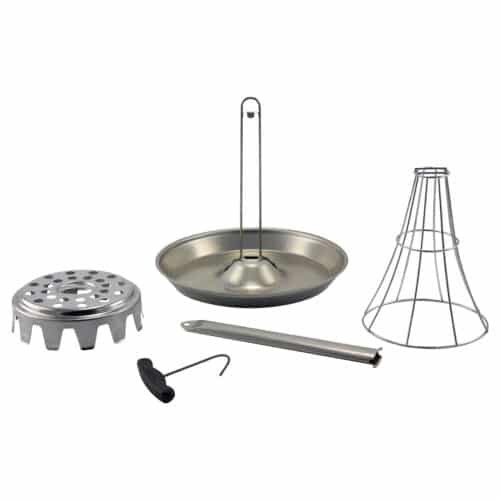 The interior surface is non-stick, making clean up easy. 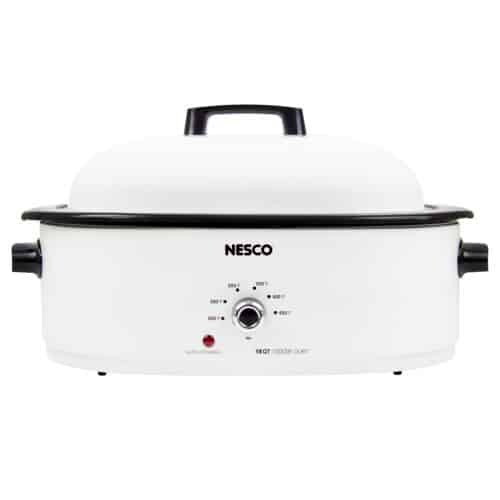 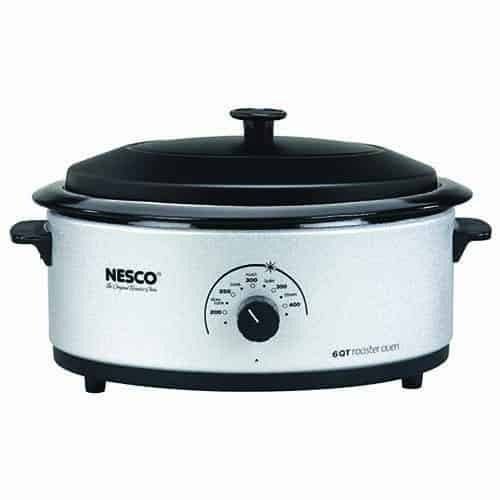 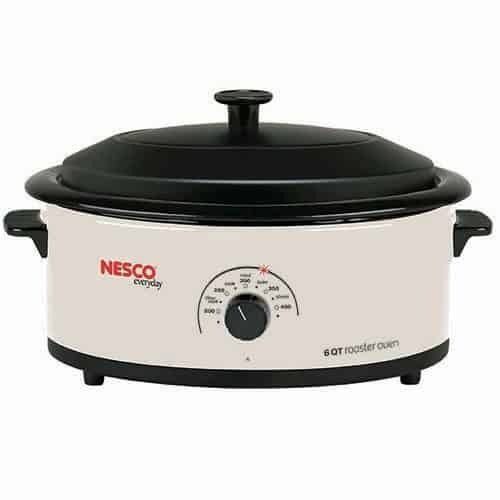 The NESCO® Upright Turkey Roaster is the most convenient and mess free way to cook your poultry and meat, allowing you to cook comfortably and enjoy more time with your family outside the kitchen.